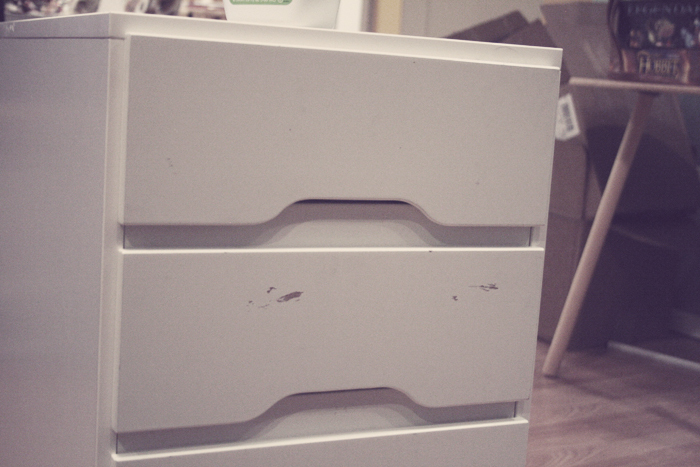 Once upon a time I made the mistake of lending my brother a set of drawers from Ikea that I wasn’t currently using. He used it when he moved off campus in college, and when he returned the furniture came back a little beat up. You can’t totally blame him though, Ikea stuff is cheap and not meant to be permanent. I thought of ways to cover up the dings, but I felt that strategically placed stickers wouldn’t look too classy. I remembered I had some vintage contact paper i’d been saving and thought i’d be a perfect & easy solution. 1. 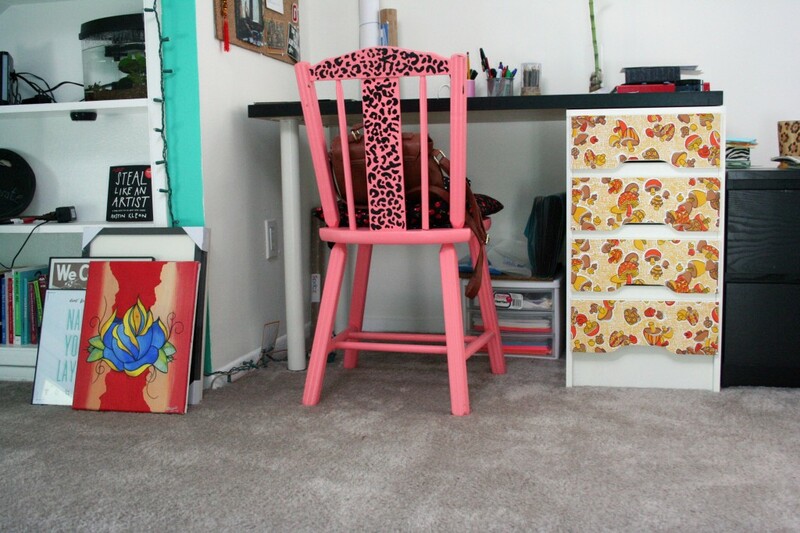 Take out one of your drawers and trace around the front of it on a large piece of paper or a couple paper bags taped together. Cut a little past the line (towards the inside) and you have a template. 2. 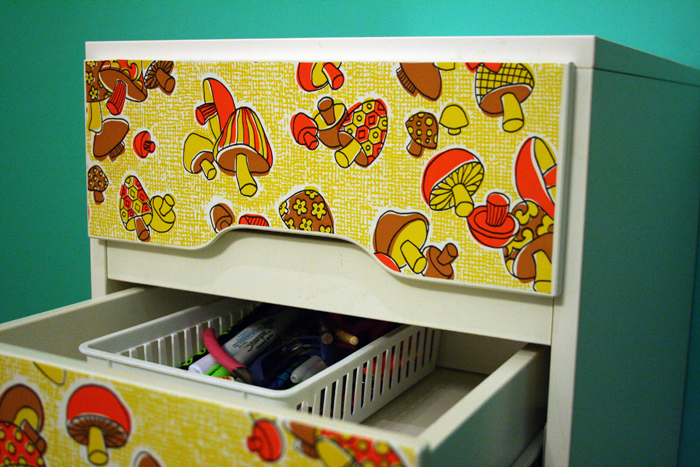 Cut a piece of contact paper for each drawer using your template. Peel the backing off the paper and press onto the drawer surface starting at the middle (make sure the drawers are clean!) I wasn’t sure if it would stick too well since my contact paper was old, it did for awhile but started peeling back a bit so I used some spray adhesive to keep them in place. Worked like a charm.